Work has been so crazy and with such craziness means not going home to Chicago for Thanksgiving. I also don’t get the Friday after Thanksgiving off so no crazy Thanksgiving party or over indulging for us! I decided that a morning hike would make the day perfect with a nice dinner to follow. I also thought something easier would allow us to hike twice over the fast approaching weekend. 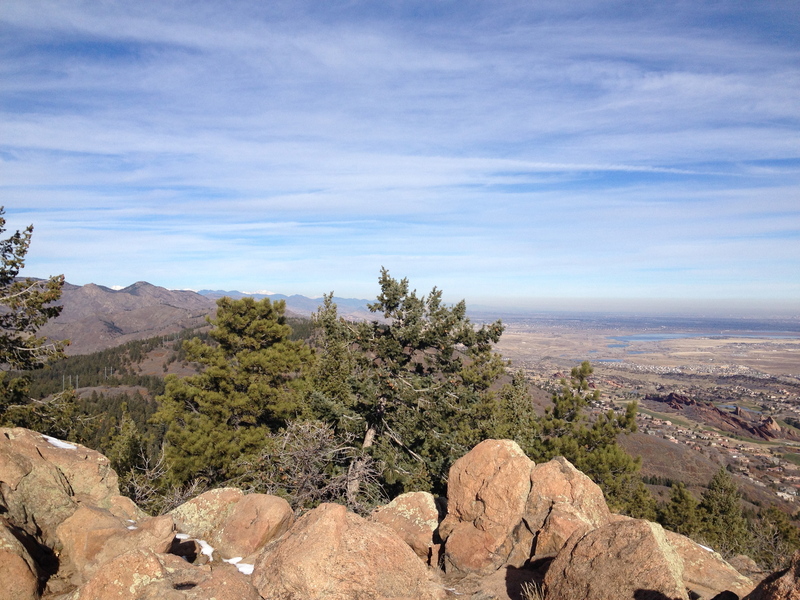 View from Carpenters Peak facing West. With just one day off, I wanted to stay close to home so that I could relax and cook the rest of the day. We also bought an annual state park pass a few days before and so wanted to start getting our moneys worth. 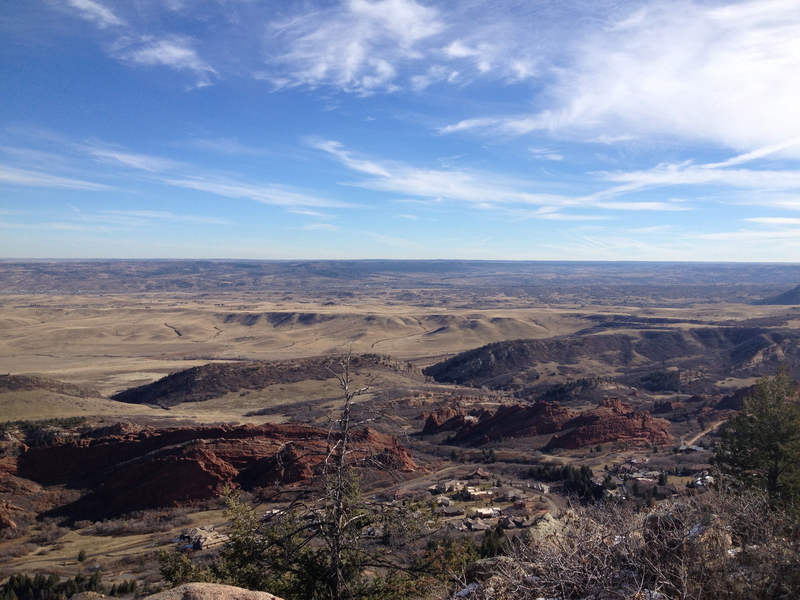 We went to Roxborough state Park and hit 2 trails, Caprenters peak ( Hike details here) and the South rim hike ( Hike Details here) to get a nice quick 8.7 mile hike. We finished in just under 3 hours and were surprised at how many people had the same idea as us. Leave it to Coloradans to make sure they keep Thanksgiving healthy! 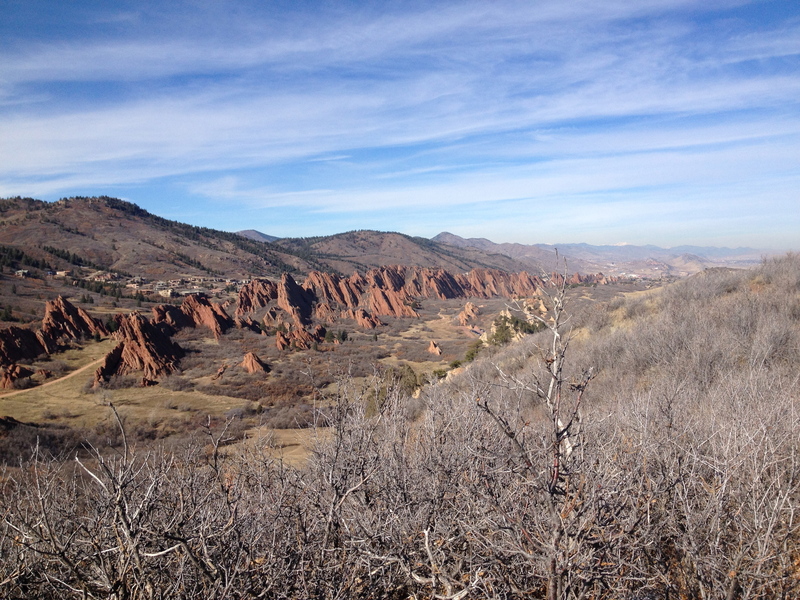 The day was completely perfect with a little snow on the trail and the sun shining bright. 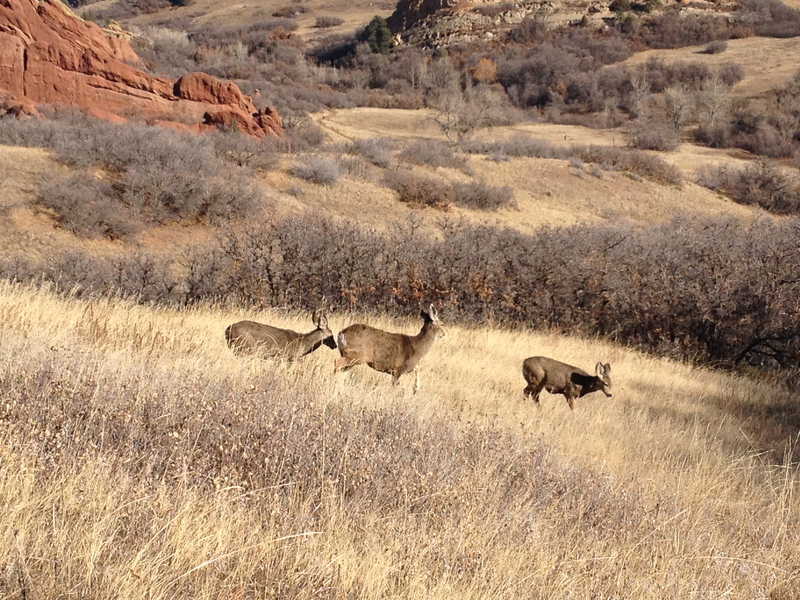 We were lucky enough to see these 3 beauties right on the side of the trail, it was pretty special! 3 deer just on the side of the trail. I will never tire of this park, every time we are there regardless of the weather it is stunning! This particular day was no different… if you haven’t found your way out there yet, check it out, totally worth the $7 day fee! 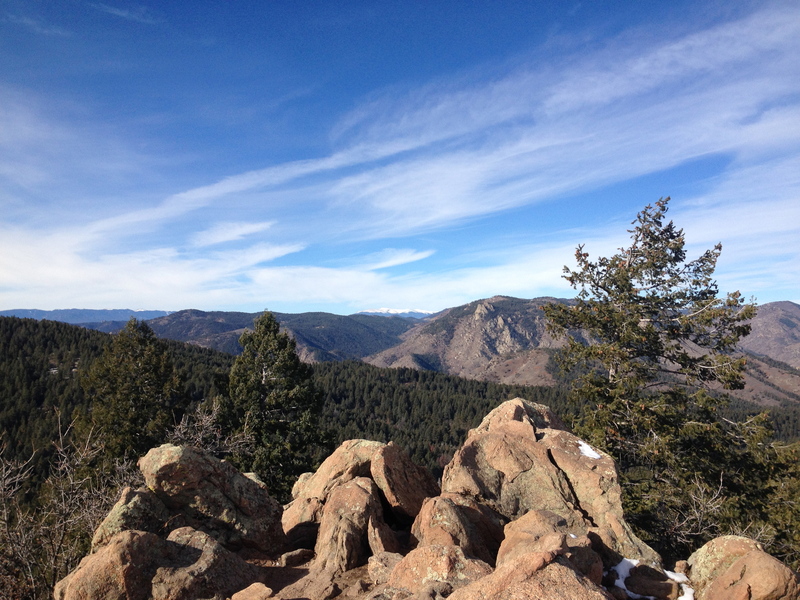 View From Carpenters Peak East. These are some beautiful pictures! I got invited to hike near carpenters point, but stupidly I didn’t go! But thanks for the pics and I hope you had fun, I definitely need to head out there some time! Oh Brett, you should go when you get the chance but this hike is pretty awesome year round. The only thing I would say is it gets MUDDY so try and pick a dry or cold day!!! Thanks for checking it out!